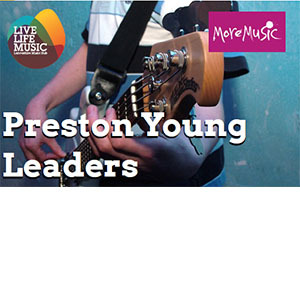 Great opportunity for students in year 10 and above – Preston Young Leaders is starting at the Guild Hall, Tuesday 7 March 4.30pm – 6pm. Working with mentors from the music industry, the group will be programming and promoting their own gigs in some of Preston’s live music venues and will have the opportunity to work towards a Bronze Arts Award. call 01524 831997 or just come down.